Lancaster City Restaurant Week is a bi-annual celebration of the rich culinary diversity available in the City of Lancaster. 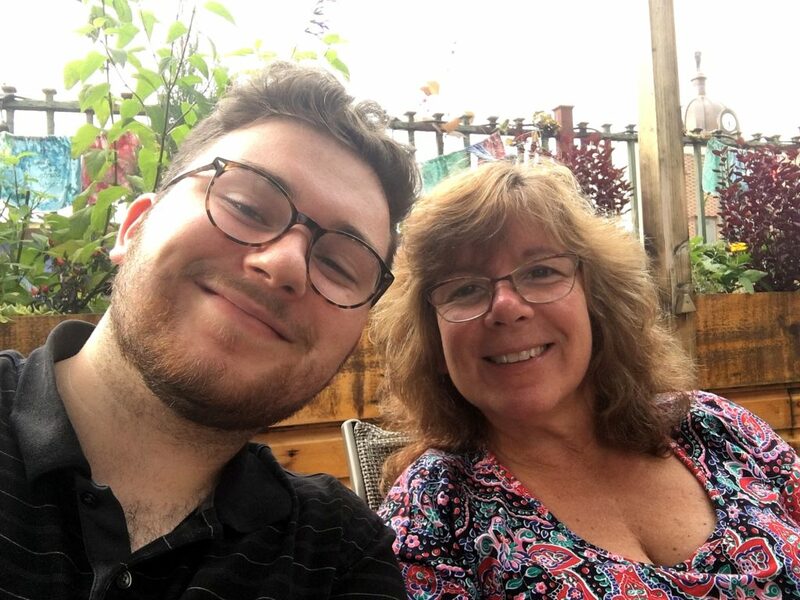 This season Visit Lancaster City’s Marketing & Communications Manager, Wyatt Behringer, decided to take advantage of the special values offered during the week to dine around the City, visit some favorite spots and discover some new ones too! Final stop – Tellus360! Through several incarnations Tellus360 has evolved into a combination Irish pub, community space, storytelling spot, and now with a 10,000 sq. foot Tellus Green Roof, it is a wildly popular destination for warm weather outdoor dining. On a cool September evening it was the perfect location for me to choose as a final Lancaster City Restaurant Week outing with my family. 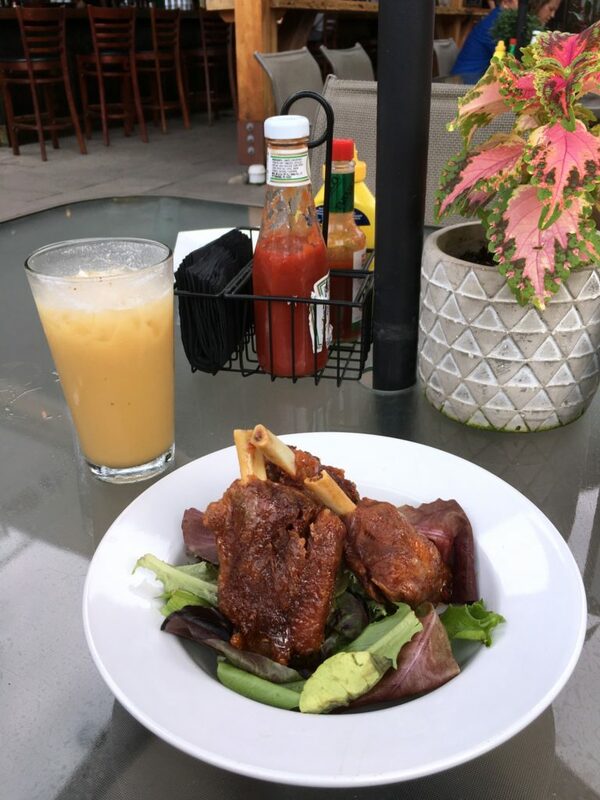 ○ Tellus Pork Wings on the bone layered with Jameson BBQ Sauce. 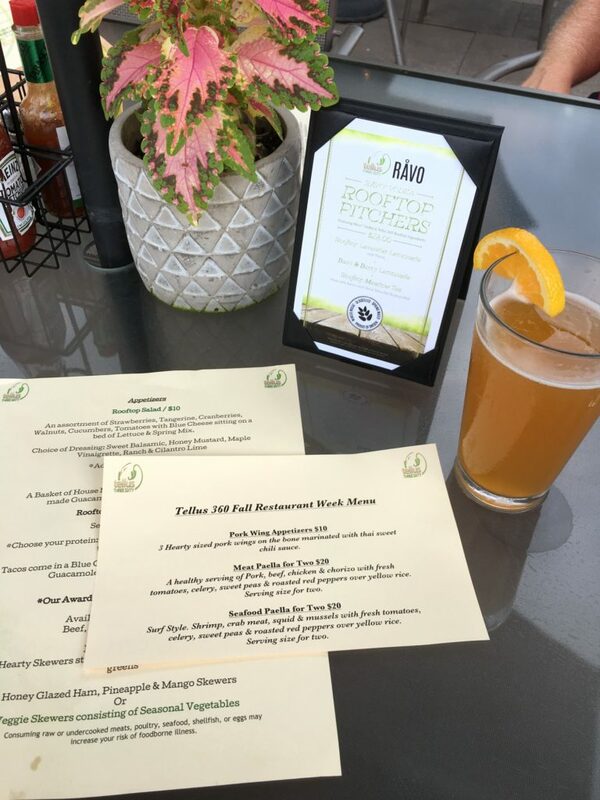 After ordering a round of drinks from the Green Roof Bar we decided to share both #LCRW Meal Deals. I have to admit that it was a struggle to share the Tellus Pork Wings. They were just too good. Juicy and delicious with the tender meat just falling off the bone. Judged an outstanding start by all three of us! We were wondering if the $20 Meal Deal for Two would stretch for the three of us and I am happy to report that the portion was generous enough to be “Family Size” for this Behringer gathering. I had already sampled Chef Axel’s amazing Seafood Paella at the Lancaster City Restaurant Week Press Mixer and wanted to try his Meat Paella this time. 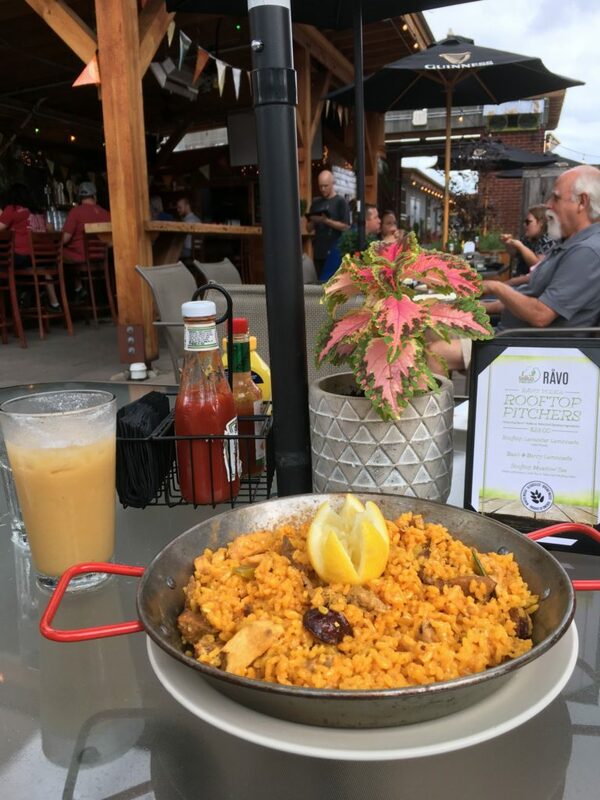 My family and I loved this perfectly spiced, beautifully presented dish so much that the paella pan went back to the kitchen spotless! There was a steady crowd up on the Tellus360 Green Roof that night. The rain held off and live music played. 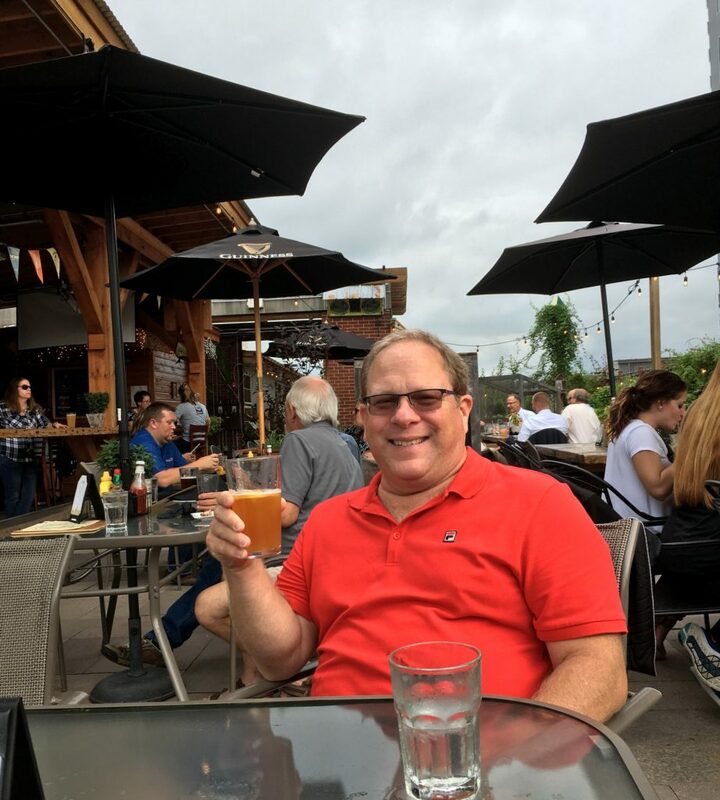 A recipe for a perfect evening with my parents and a chance to say “Cheers!” to a really fun, delicious and exciting week of discovery exploring the City of Lancaster during Lancaster City Restaurant Week for Visit Lancaster City! My Dad, Norb Behringer, raises a glass to a perfect Lancaster City Restaurant Week evening. I hope you all enjoyed your Lancaster City Restaurant Week experience. Now get ready for the next big Culinary Adventure in the City of Lancaster (happening right here at Tellus360 too)! Visit Lancaster City is a proud partner for VeloCity 2018: Celebrating a City Moving Forward. 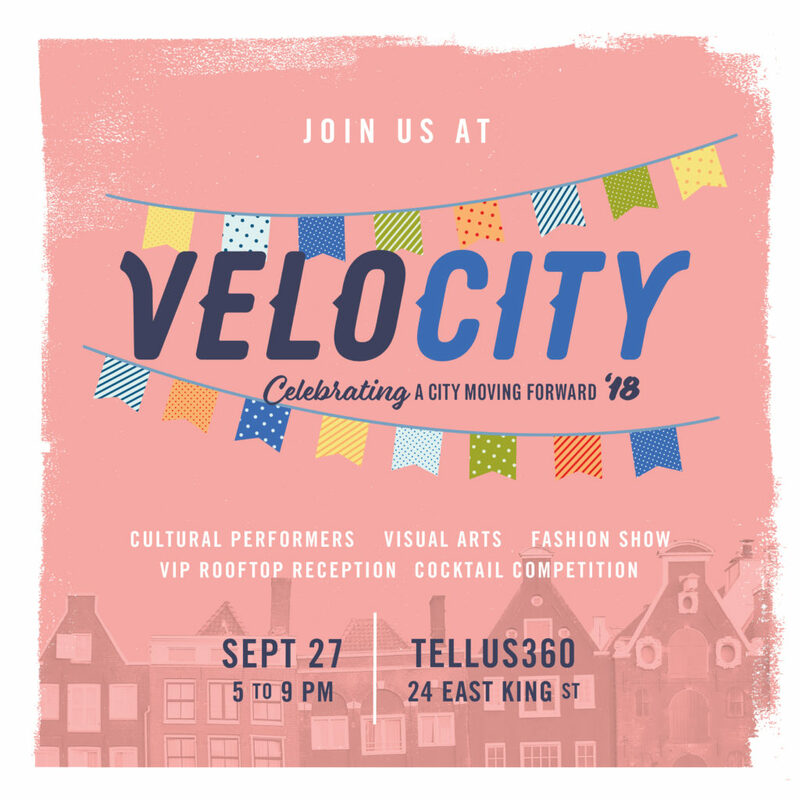 Celebrate the City with us as Lancaster’s thriving art, culture, food, and fashion take over every floor at Tellus360 on September 27, from 5 p.m. – 9 p.m. Enjoy tastings from restaurants across the City! Tickets on sale now here!